The Eastern Conference for Workplace Democracy (ECWD) took concrete steps toward coalition building with other workers and unions, inter-cooperation with other cooperatives, and forging alliances with political groups at its 4th biennial conference this summer. It was the first ECWD held in the South. Attended by 146 people from 26 states and 75 organizations, the conference took place at the University of North Carolina in Asheville from July 20-22, 2007. It was one of the largest, most enthusiastic, inclusive, and successful conferences since the first ECWD meeting in 2002. The conference was co-hosted by The Federation of Southern Cooperatives/Land Assistance Fund, a group of thirty five mostly black farmer cooperatives and credit unions in Alabama and Mississippi, and the Southern Appalachian Center for Cooperative Ownership, a co-op development organization whose membership includes veteran co-op organizer Frank Adams in Asheville. With a theme "Building Cooperation East and South," the conference organizers hoped to help re-ignite the worker cooperative movement in the South. 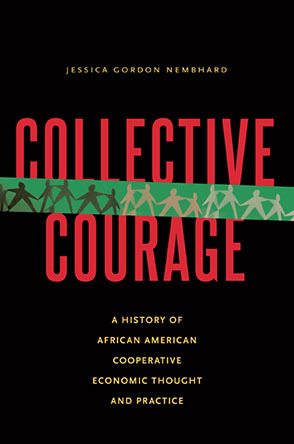 In the 1980s there were 11 worker cooperatives in the South, however many of them no longer exist. The worker-owners, representing democratic workplaces predominantly in the eastern and southern U.S., unanimously adopted a resolution on the last day of the conference calling for the formation of a committee to work with the U.S. Federation of Worker Cooperatives "to explore opportunities for collaboration with several unions for mutual benefit." The ECWD is a regional partner of the USFWC. Lynn Williams, former president of the United Steelworkers who has helped traditional businesses convert to worker ownership and who was the conference's keynote speaker, cheered the move, urging us as he left "to be courageous and take the bit in your teeth". The worker cooperative-union collaboration would benefit both groups. As the resolution stated, employee-ownership of companies as a way to save jobs of workers in traditional businesses, increased union membership with cooperative members, connecting unions to the international fair trade movement, access for workers in co-ops to union benefits including pension and health care insurance, advocacy for workers rights and health care reform and access to capital for co-op formation. In addition, all workers would benefit by supporting a U.S. employee ownership bank through legislation sponsored by Sen. Bernie Sanders (D-VT), the resolution said. The conference formed a committee which includes Adam Trott, a member of Collective Copies, a unionized worker cooperative in Amherst, MA, a member of the IWW union, and other democratic workplace members. A budget for the committee's work and a report back at the ECWD '09 conference was also mandated. The benefits of union-worker cooperative alliances were also discussed in the "Organizing Labor in the South" led by Juan Ignacio Montes, an organizer with the Retail Wholesale & Department Stores Union, working with Case Farm poultry processing workers in North Carolina, and Francisco Risso, director of the Western North Carolina Workers Center. "We're natural allies," said Risso, of worker cooperatives and unions. "My idea of unions is moving toward worker control and ownership." The issue of organizing worker co-ops in the South was addressed at a plenary forum on "Organizing Worker-Owned Businesses in the South." "The challenge for worker cooperatives is how to build multi-racist collectives in a society sustained by racism and white privilege," said panelist Pam McMichael, executive director of the Highlander Center near Knoxville, TN. "We are up against some big things to turn this country around." (See text of McMichael's presentation.) The plenary discussion also included Frank Adams, of SACCO and John Zippert, of the Federation of Southern Cooperatives, and was moderated by Jessica Gordon Nembhard of GEO. "Race is a universal hurdle that we face," he said. Speaking from the floor, Shakoor Aljuwani, an organizer in New Orleans, asked for support for people trying to rebuild lives and community in the city in the aftermath of Hurricane Katrina. "I've been sent here to beg you, to plead with you to come [to New Orleans] and share your experience and help find solutions, to show there is a cooperative solution to racism and poverty," he said. "The opportunities and openings are there, and we're ready to handle things. People are ready to try anything." Another organizer added her voice to a plea for the conference participants to bring their "intellectual capital" - their long years of cooperative experience -- to New Orleans to help fix broken lives. "We need models to replicate," said former Collective Copies member Erin Rice, who worked with the nonprofit Recovery Assistance, Inc.
Andrea Arias Soto, an organizer with the Center for Participatory Change, a regional organization based in Asheville, attended the "Setting up a Cleaning Co-op," to assist the immigrant women with whom she works. "We got a lot of ideas that we can apply as women to get together to start some business and some cooperatives," she said. Soto said the conference's focus on economic justice was a first for her and positive experience. "It was different from other conferences where you talk about issues and problems," she said. "In this one, we were talking about solutions, about how we can do something different." This year's ECWD conference had two other "how-to" workshops geared toward basic cooperation building: "Setting up a construction a construction co-op," and "How to start-up, manage and market a successful art and craft gallery cooperative." There were workshops which addressed "Converting a Traditional Business to a Worker Co-op," and "Reducing the Environmental Impact of Your Business and Community", among many others. A first for this year's conference was the presentation of awards at the conference. Two veteran co-op organizers, SACCO's Adams and GEO's Bob Stone, were acknowledged for their service to the worker cooperative movement. Adams, co-author of Putting Democracy to Work: A Practical Guide for Starting Worker-Owned Businesses, has helped formed cooperatives and other employee-owned businesses nationally and in the South (see www.ourbiz.biz). Stone, a GEO mainstay, also initiated and helped to form ECWD, and is now working on cooperative business development in Latin America (see www.globaljusticecenter.org). "The conference provided many opportunities to talk with other cooperative leaders about the key issues cooperatives face, from structure issues, to capitalization challenges, to questions of member participation and governance," said Lynn Benander of Co-op Power, a consumer-owned energy cooperative and Northeast Biodiesel, a worker- and consumer-owned biodiesel plant which plans to produce biodiesel from recycled oil collected from restaurants and cafeterias. Lynn continued, "There's a great group of people who have developed real expertise in worker ownership. A valuable resource for us all." Jessica Foxx, of Beat-4 Co-op in Macon, Ms., said she gained practical information in workshops on starting co-ops and governance for Beat-4 which employs middle school and college students to farm and run a farmer's market. "It was very beneficial to us," she said. The Eastern Conference for Workplace Democracy is a regional organization of employee-owned and -operated businesses: worker cooperatives, collectives, and Employee Stock Ownership Plan (ESOP) companies. Members include Equal Exchange, a fair-trade coffee and cocoa producer near Boston; Chroma Technology Corp., a 100 percent employee-owned ESOP which manufactures lenses in Rockingham, Vt.; and Little Grill Collective, which operates a cafÃ© in Harrisonburg, Va.
For a more a more detailed version of the ECWD history, visit: www.usworker.coop/about/history/regional, or for general information contact: info (at) east.usworker.coop. Since the conference, the USFWC has voted to hold its next conference in New Orleans during the spring or summer of 2008. For more information, contact: www.usworker.coop.